She's going to take her life back... one sizzling night at a time! It used to be Nicky Sinclair's nightmares which kept her up all night; those 3 am silences were her worst enemy. So now she's following doctor's orders – rest, relaxation and plenty of therapeutic Spanish sunshine. Only she hasn't counted on sharing her tranquil retreat with her best friend's brother Rafael, whose presence is anything but peaceful! With his beguiling eyes and smoldering smile, he quickly becomes a very welcome distraction. After all, if she's struggling to sleep, why not find something else to do with her time..?! On doctor's orders, 29 year old Nicky Sinclair, photojournalist and creative, adventurous, globetrotter type, takes a trip to Spain to try to relax and hopefully experience a break from her insomnia troubles of late. With help from her best friend, she lands a nice place to stay. Just as she's getting comfy though, there appears to be a second, unexpected tenant ... Rafael, the brother of Nicky's best friend! After a misunderstanding involving a pan swung at Rafael's head and some expected arguing back and forth about who has rights to the vacation spot, they settle on a way to share the place. No surprise, Rafael has a flirty side to him that he just can't help but shift into. He has a corporate job he takes very seriously, but having casual hookups with pretty ladies is how he lets off steam on his off-time. There's a period where Rafael seems confused with what to think of her or how to act, claiming "should've realized there was something not quite right with her", even going so far at one point as to call his lust for her an "aberration". Odd pairing, these two, for sure. But not in a cutesy, "isn't it great when opposites attract" way... this reader just did not click with this pairing. They had the ideal setting, just not that great a story or character development between them. The dialogue was also pretty cliche for much of the book, which distracted from the plot's potential momentum. It had its fun moments, but Rafael came on pretty strong and Nicky flip flops on what she thinks she wants.... that dynamic sometimes works in romance stories but here the balance felt constantly off just a hair... enough to make the whole thing a bit of a flop. It's decent for a light and breezy poolside read, but don't expect too much more from this one. Speaking of Canada VPS Server and Dedicated Hosting, there can be nothing as good as Onlive Server. Onlive Server is one of the first choices for web owners who tend to be on a tight budget. Our Canada VPS Server is basically the lowest in price due to the fact that it is a low entry hosting service. It is more affordable in comparison to the other server hosting solutions that are available in the industry mainly because the high server resources provided like bandwidth, CPU and memory. Furthermore, it is important to note that Shared server kind of hosting might create a lot of problems for the users and these include slow speed and downtime because of server overload. Despite the fact that the other forms of server hosting might not be available at a price at which one can get shared hosting, it would be better to go for other server hosting packages like Canada Dedicated Server and VPS instead of going for shared hosting. There is a number of reasons why business owners going for Linux server hosting. However, among all the major reasons, the fact that makes Linux highly attractive is that it offers an open source platform. It is this feature that allows the programmers to improve and even change it prior to distributing it to the public. Linux is used by a large number of users across the world and they are constantly working towards increasing the functionality of this website server hosting solution. The developers working on Linux is in no ways a part of the business culture but they are amongst the most professional and experienced experts across the industry. Onlive Server is one of the cheapest platforms of website hosting, almost any individual can easily find different pricing options for the same within a very short span of time. Here, it is also important to note that Canada Server is used widely in the form of cPanel hosting as it features a control panel that can be used for controlling database, email accounts, sub-domains FTP and website statistics. To conclude, Canada Server comes with high traffic and are on a tight budget when it comes to offering visibility to their products and services. When tall, blond, and beautiful Ellen Baxter enters the Paris Ritz the day before Princess Diana dies, she’s mistaken for Diana by the paparazzi. The next morning, as Ellen’s older, Nobel-laureate husband attends a physics conference, she goes to the site of the fatal crash and finds an uncharacteristic photograph of Diana. Surprised by how deeply the death has affected her, Ellen pockets the photo. As she hears Diana’s voice in her head and begins to understand the parallels between their lives, she tracks down the person who took the photograph, hoping that this man who deals in surfaces can penetrate her beauty, as he did Diana’s, and help her love the woman inside. Elizabeth Dewberry’s complex, surprising novel uses string theory to weave together two women’s lives and explore a culture that celebrates women for their beauty―then exacts a terrible toll. American Ellen Baxter travels with her Nobel Laureate husband to Paris, where he is to attend a physics conference. As he socializes with colleagues at the hotel restaurant -- "the most interesting conversation I've had in months" --- nice of him to say to his wife *eye roll* --- she decides to take in the sights of the city. Ellen's first day in Paris happens to be the day before the tragic death of Princess Diana. Papparazzi mistake Ellen for Diana. It confuses her, but after the crash Ellen feels compelled to visit the site of the wreck. There at the site, and after (back at the Paris Ritz Hotel), Ellen begins to hear the voice of Diana and gradually begins to see interesting parallels between their lives. 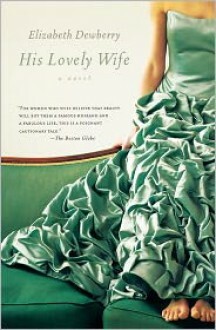 The cover of this book might lead you to believe you're going into a fluff read. At times it is, but largely the story ends up being much more layered than it lets on. Through the story of Diana's sad marriage, difficult divorce and untimely death, we also learn of similar hardships in Ellen's marriage (minus the death part, obviously). Put the two stories together, and the reader gets a compelling study of a woman's role as a wife in general terms --- the good and the bad, the struggle to get out from under the shadow of a spouse society deems the more successful one. But no worries, it's not all heavy. There's plenty of humor slid into the mix as well. This story had me thinking how entertaining it might have been to trade mother-in-law venting stories with Diana! * There are no chapter divisions in this book, only paragraph breaks to indicate scene change --- just a heads up if you're a stickler about format. * Some of Ellen's inner thoughts are pretty sexually explicit or otherwise graphic... again, just a warning for readers who prefer to keep their stories tame. If you're at all interested in anything to do with the Princess Diana story, this novel is a unique take on the events, while also bringing in thought provoking commentary on the concepts of domestic harmony and maintaining a strong sense of self-worth while in a partnership. * When picking up this book, you may notice that it is dedicated to the novelist Robert Olen Butler. Elizabeth Dewberry was previously married to Butler, but the marriage crumbled after a rather public revealing of an affair with media mogul Ted Turner. The highly acclaimed and provocatively rendered story of a young postulant's claim to divine possession and religious ecstasy. In 1906, a beautiful seventeen year old postulant enters the convent of the Sisters of the Crucifixion in upstate New York. When she begins to bleed from her hands, feet, and side, the entire community is thrown into turmoil. Is Mariette a cunning sham, or sexually hysterical, or does God stalk her like a pitiless lover? Mariette in Ecstasy is a stunning immersion into the society of a small convent at the turn of the century, where a mysterious and ultimately harrowing world lies beneath the lovely, placid surface of everyday life. This is an intimate portrait of a fascinating young woman in the grip of an intractable fate, and it raises provocative questions about the complex nature of passionate faith. In 1906, seventeen year old Mariette decides to leave her life of wealth and privilege as the pampered daughter of a successful daughter to enter the Our Lady of Sorrows convent in Arcadia, New York. Serving as a postulant for the Sisters of the Crucifixion order, Mariette begins to show signs of stigmata. 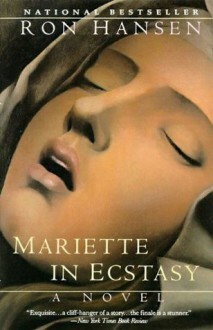 Mariette also confesses to having conversations with Christ that escalate into an all-consuming, nearly sexualized level of religious ecstasy. 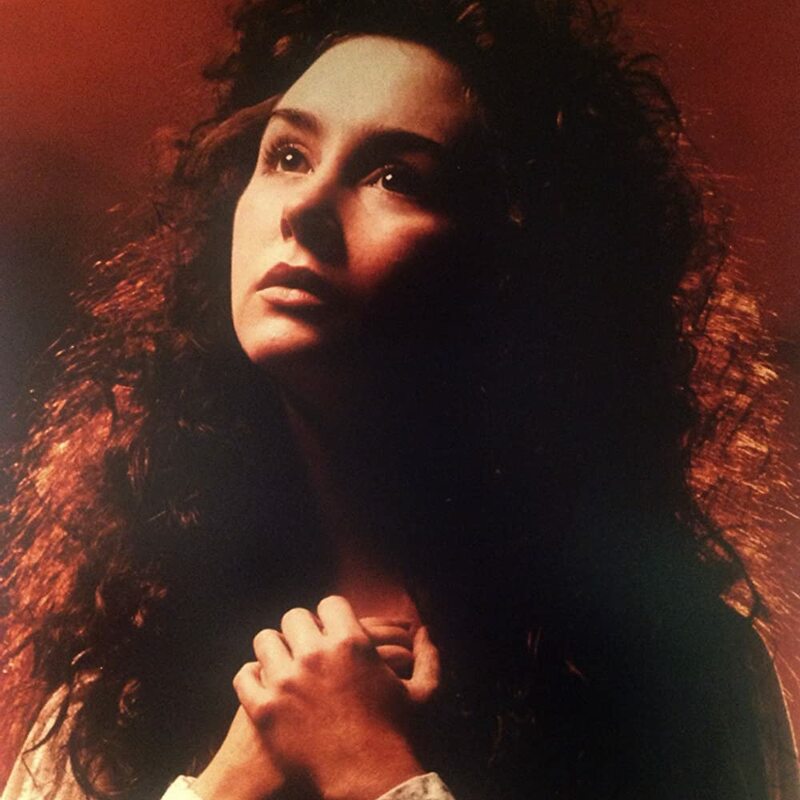 As Mariette's behavior and emotions become increasingly erratic, her explanation is that she desperately wants to experience the literal suffering of Christ. The nuns are beside themselves trying to figure out how to handle this. Once the story moves beyond the walls of the convent, a panel of church officials is pulled together to come in and interview the nuns to ascertain if Mariette is truly having a powerful religious experience or slipping into insanity. From the childhoood of Mariette down to the nuns in the convent she joins, imagery of self persecution plays heavily into the whole novel. In fact, the novel opens with scenes of each nun starting her day and from the very first introduction to Mother Saint Raphael, we read of her practicing self penance through the wearing of thorned rosebush branches under her habit. There are also descriptions of nuns participating in flogging or various other forms of self-persecution or lying on beds of thorns to strengthen their commitment to the vow of chastity. Mother Saint Raphael tugs her plain white nightgown up over her head. She is hugely overweight but her legs are slight as a goat's. Tightly sashed around her stomach just below the great green-veined bowls of her breasts are cuttings from the French garden's rosebushes, the dark thorns sticking into skin that is scarlet with infection. She gets into a grey habit, tying it with a sudden jerk. She winces and shuts her eyes. The entire novel spans the time period of a few months. Even for a brief story, there are some slower moments here, but the intensity certainly picks up the closer we come to the end! One incident and its aftermath are reminiscent of the stories of the Witch Trials era, as Mariette's life before and after entering the convent are investigated. The church panel wishes to determine: are her behaviors are a detailed hoax? Or is she being consumed by the Devil? Should she be kicked out of the convent? Committed to an asylum? I did feel for Mariette's father, the little we get to know about him. Being a doctor, he's a man of science who gravitates towards the tangibly provable. He struggles to understand Mariette's deep devotion to the religious world, he misses being able to have a normal, friendly father-daughter relationship without all the rules about contact, but he tries to be there for his daughter as much as convent protocol will allow. Mariette In Ecstasy does go to some WEIRD places at times, but what keeps it highly readable is Hansen's wonderful, slow-brew way with prose. And that last line! Love! * Author Ron Hansen himself is an ordained Deacon in the Catholic Church. * Ron Hansen wrote the screenplay for the film adaptation of his book. His characters were portrayed by quite a few notable names such as Rutger Hauer, John Mahoney, Mary McDonnell, and Eva Marie Saint.